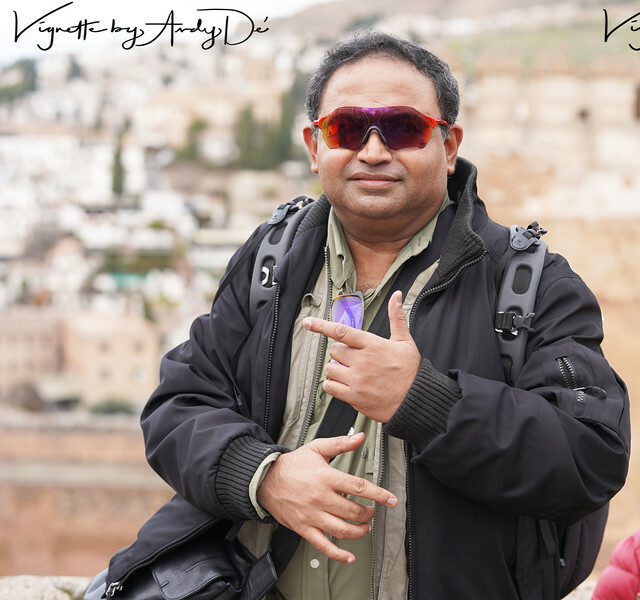 ALHAMBRA PALACE & CITADEL in GRANADA, ANDALUCIA, SPAIN (2017) - Vignettes by Andy Dé - 'A Wayfarer's Odyssey'! 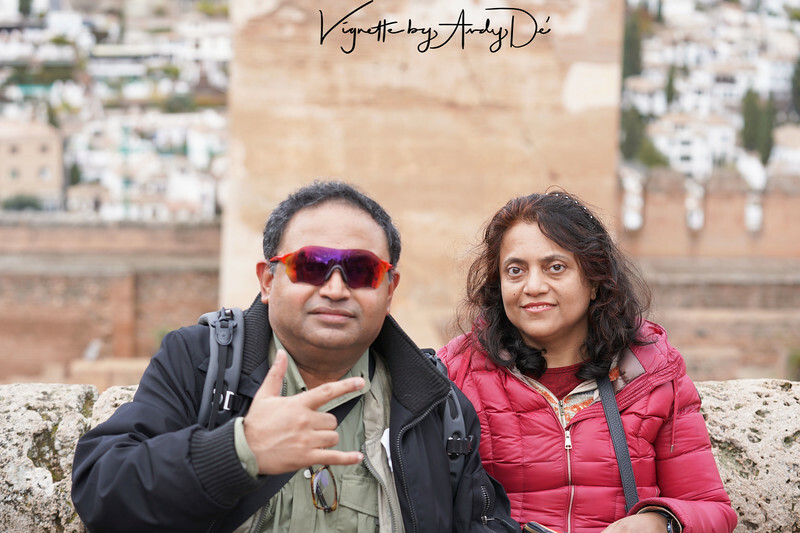 The visit to the much acclaimed ALHAMBRA PALACE AND CITADEL, arguably, the finest instantiation of Moorish architecture in the World, was the fulfillment of an aspiration and a bucket list milestone from over a decade! 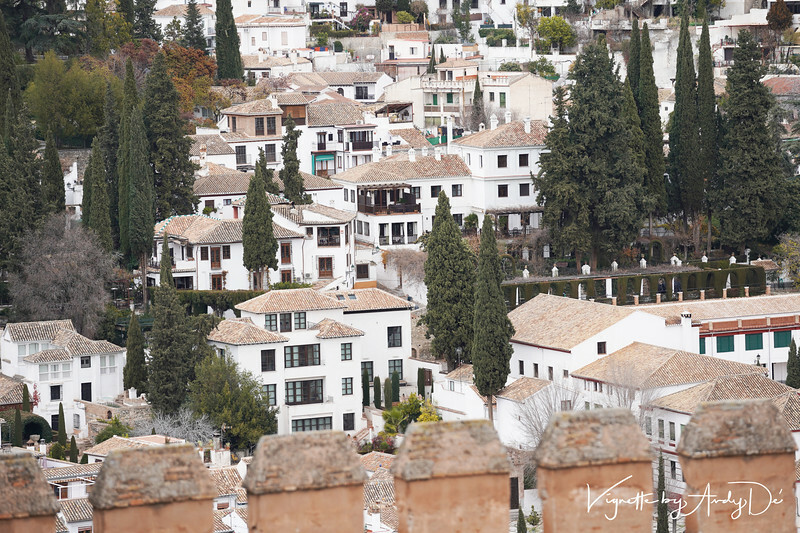 The Alhambra, is perched on a hill between Granada and the Sierra Nevada mountains. 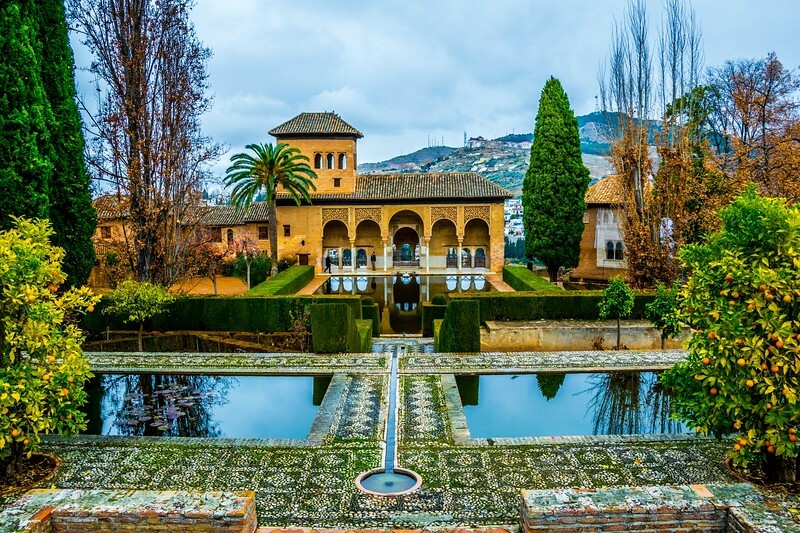 Built by Spain’s ruling Moors more than 600 years ago, this gorgeous palace-fortress is regarded as one of the world’s finest examples of Islamic architecture and was used as a royal court and residence. 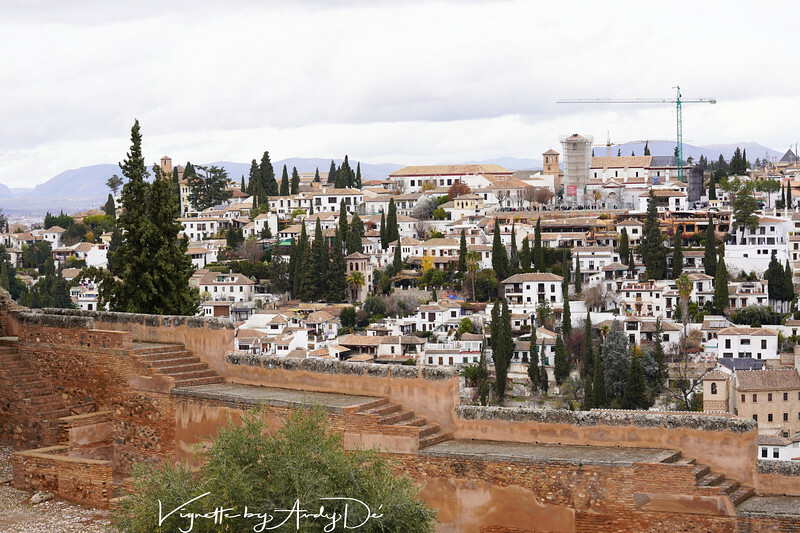 In its dreamy hilltop setting, the lush landscape of the Alhambra in Granada was perceived as “heaven on earth” for the Moors, who arrived here from the deserts of North Africa – today’s Algeria, Tunisia, and Morocco. With the snowcapped Sierra Nevada Mountains as a backdrop, freshwater flowing from the Río Genil became a symbol of abundance. 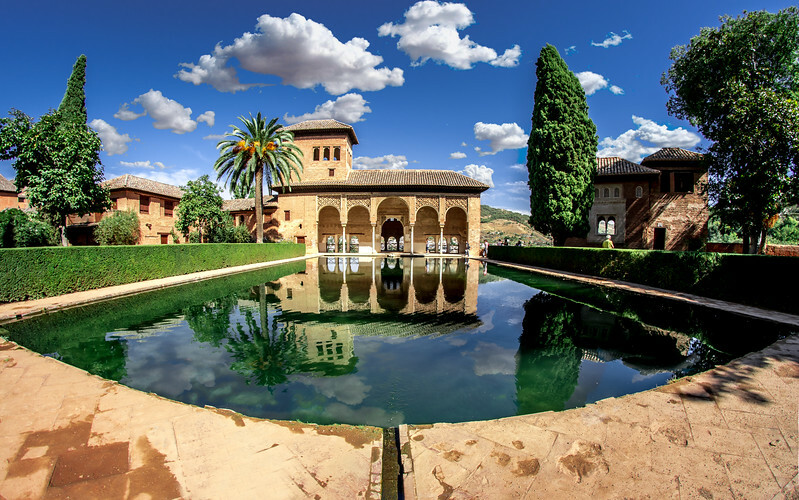 The Alhambra is an oasis - idyllic surroundings for the lavish Moorish palaces. 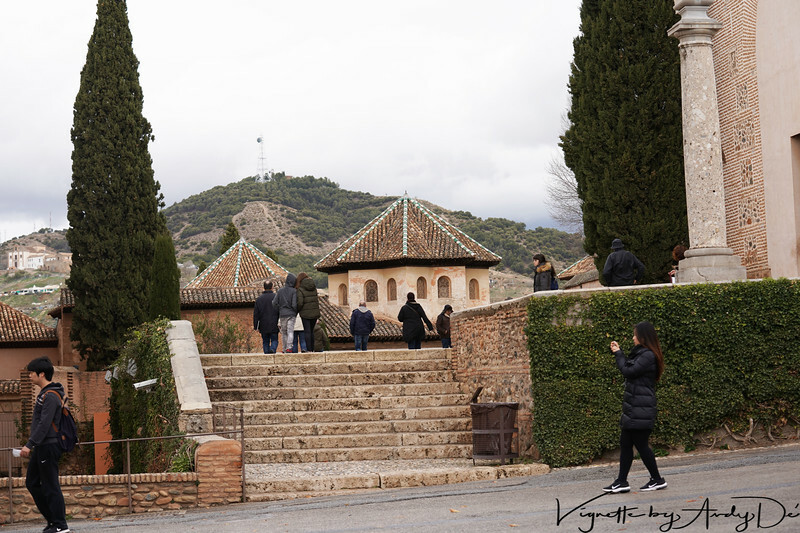 Known in Arabic as Medinat al-Hamra, the ''Red City,'' because of the color of the stone buildings, the Alhambra is spectacular and breathtaking, especially in a Spanish context. 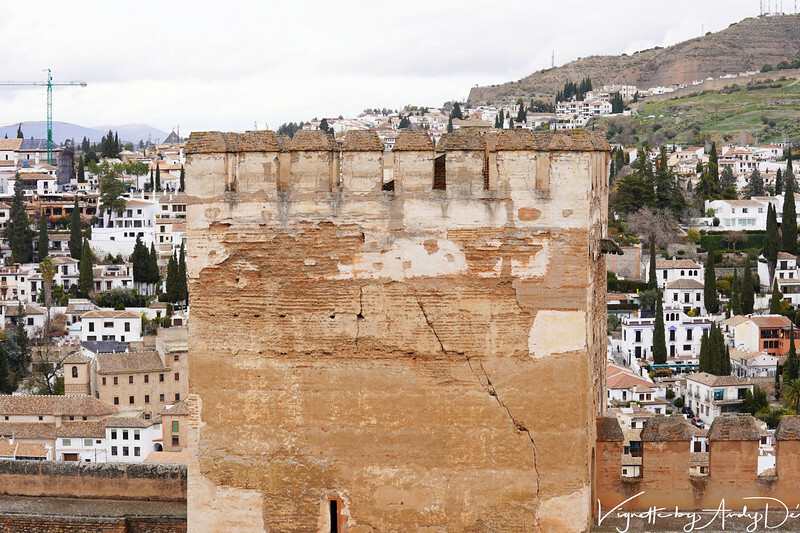 This citadel, with its complex of palaces, is the most important monument of Andalusia. 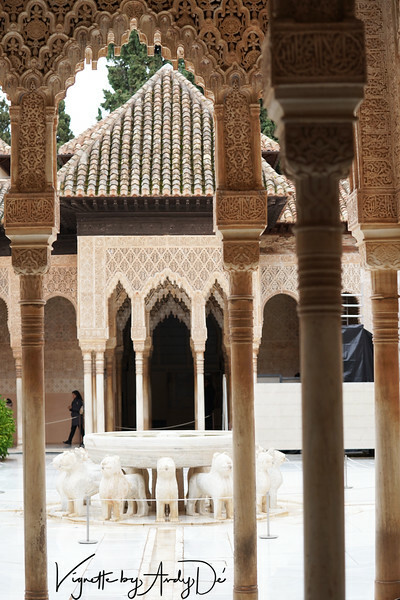 The opulently decorated rooms and serene courtyards represent the finest achievements of Moorish art and architecture in the world. 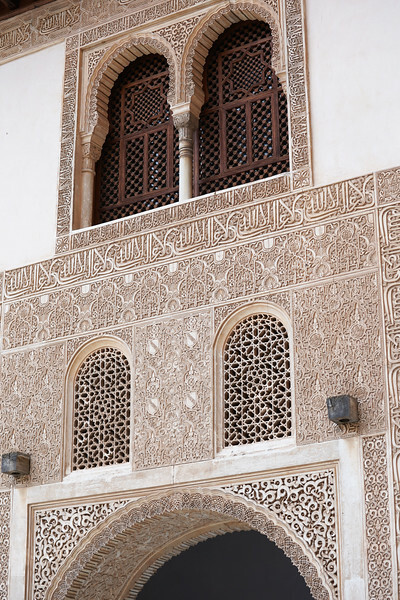 The Alhambra comprises the three Palacios Nazaries, built for Mohammed ben Al-Hamar in the 13th century, and home of the Nasrid Dynasty of Sultans (from today’s Syria) until the 15th century. 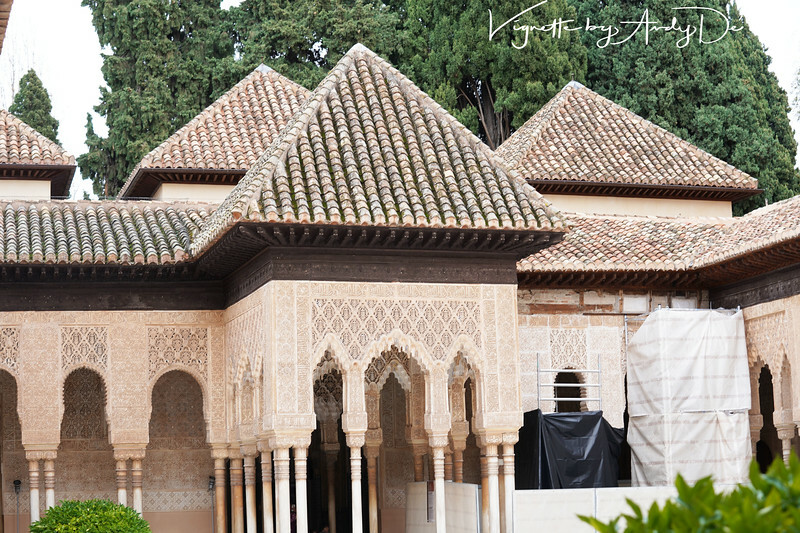 These splendid Nasrid Palaces epitomize the beauty of Islamic architecture and are the magnum opei of the Alhambra, their exquisite interiors filled with lavish Islamic tiling and ornately decorative stucco work. 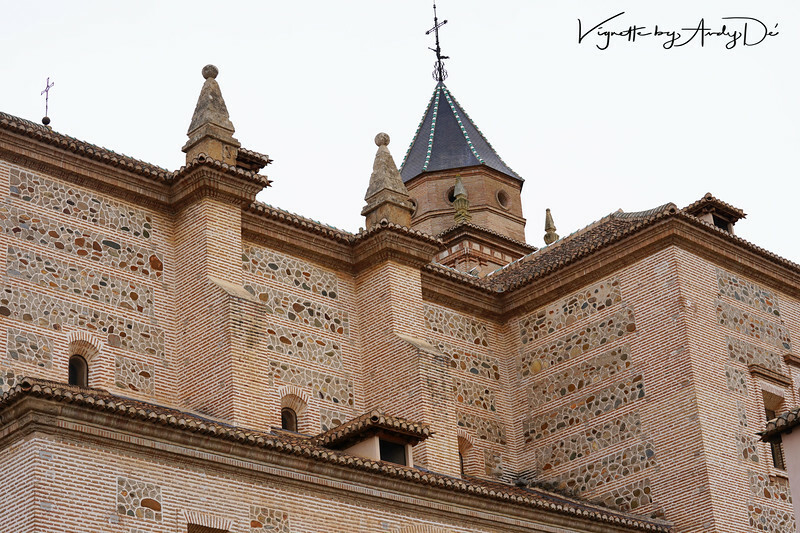 Beautifully laid out in three sections, the Palacios Nazaries are made up of the Palacio Real (Royal Palace), Palacio de Comares (Palace of Ceremonial Rooms), and the Palacio de los Leones (Palace of the Lions, which was the Sultan's private quarters). 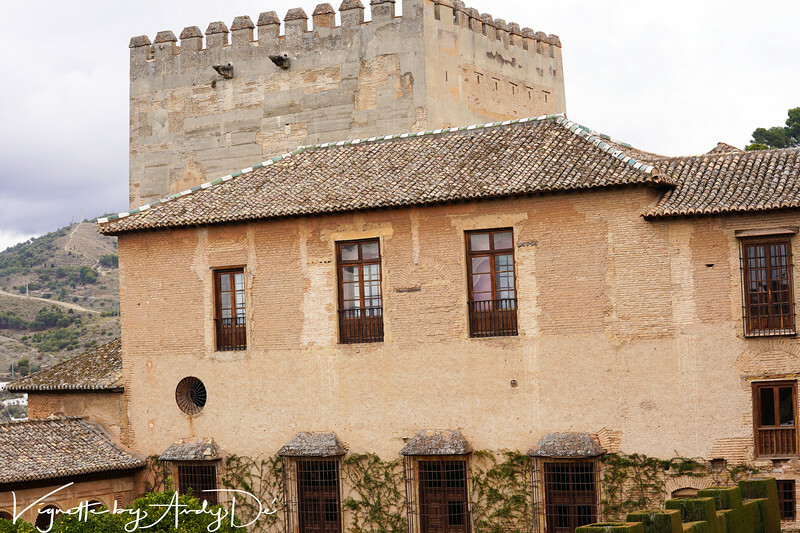 In each section, all the rooms open onto a central courtyard in typical Andalusian style. 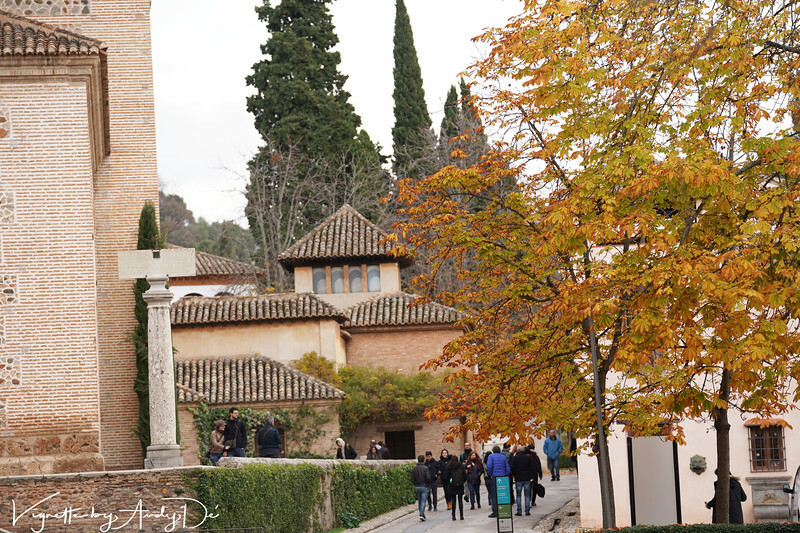 The Alhambra is in demand all the year round from tourists visiting from all over the World. My humble suggestion would be to make your reservation online first, before you make your hotel and travel bookings. 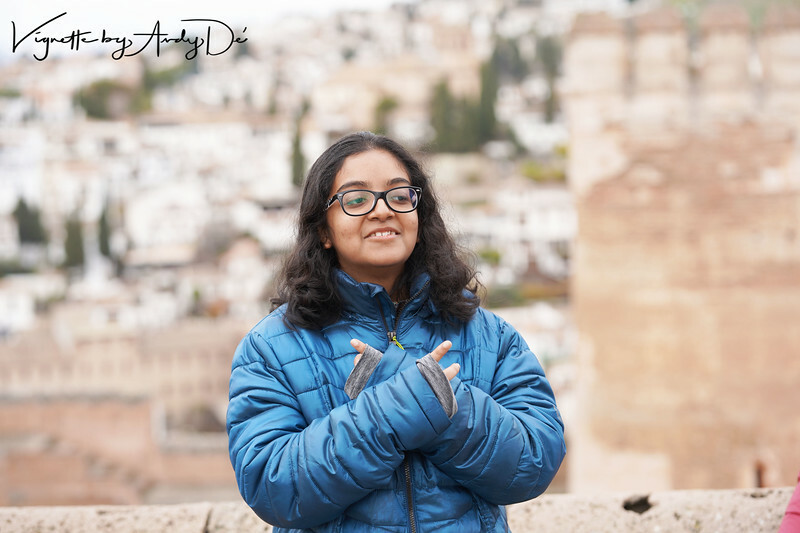 Experiencing the Alhambra in person was indeed the fulfillment of a long cherished aspiration, but has also served to enhance the awe and respect I have for the artisans who built and sculpted by hand, the Taj Mahal, Fatehpur Sikri, Sikandra and similar icons of the Mughal reign in India, that we celebrate to this day! 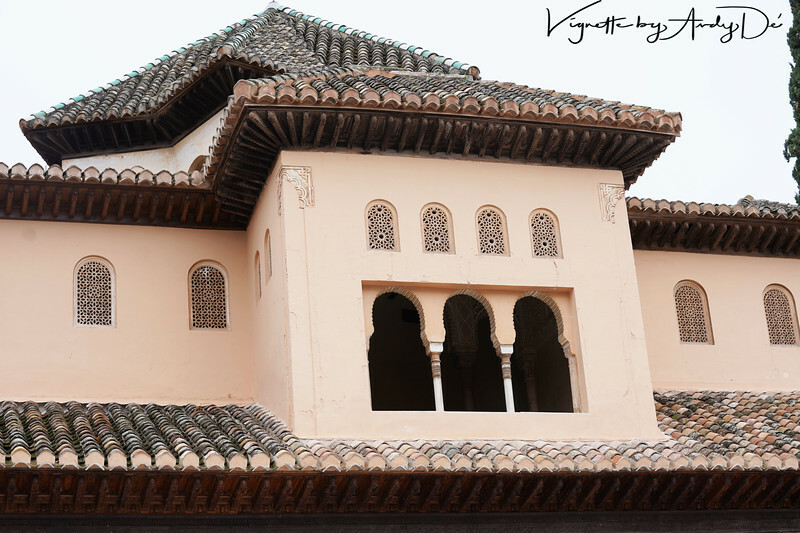 The Nasrid Dynasty leisure palace within the Generalife Gardens! Arguably, the closest thing to the fabled 'Gardens of Eden' on the Face of this Earth! Spellbound and transfixed by its ethereal beauty! 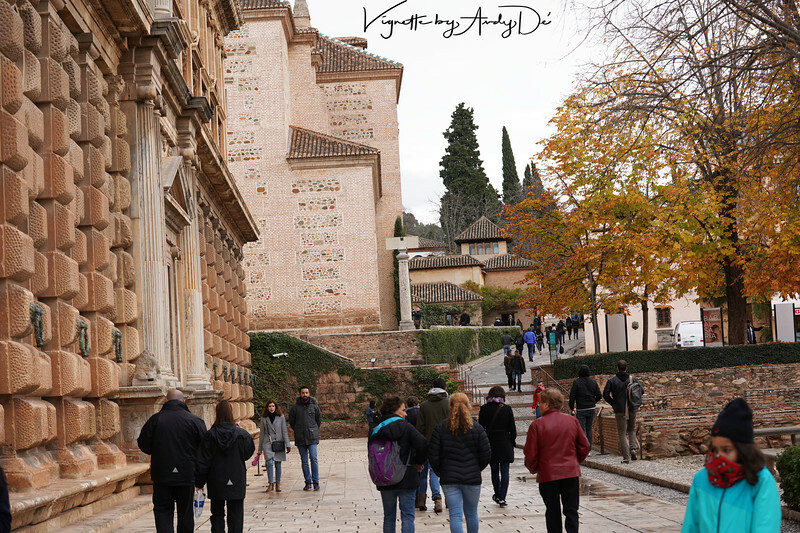 Walkaway to the Nasrid Palaces at the Alhambra! The Charles V Palace built over the demolished remains of one of the Nasrid Palaces which was torn down following the re-capture of Spain from the Moors! 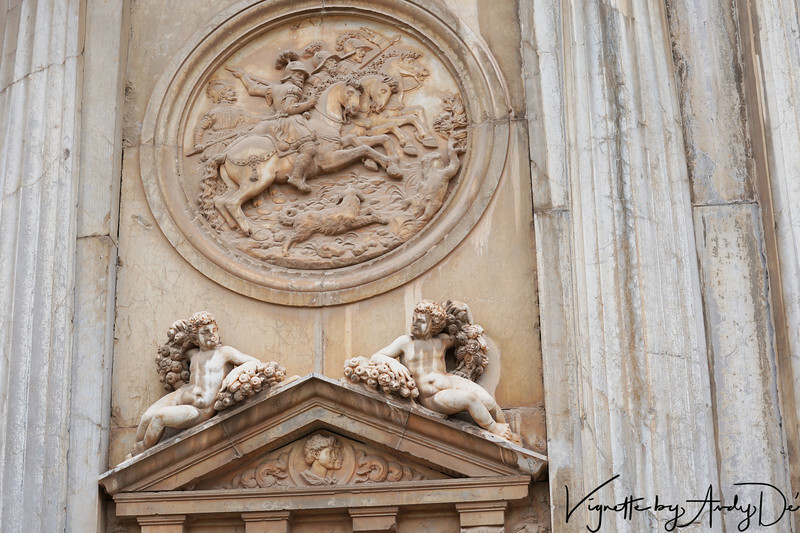 The Court of Arms of Charles V, adorning the portal to the Palace, which today hosts prestigious musical concerts in Granada. 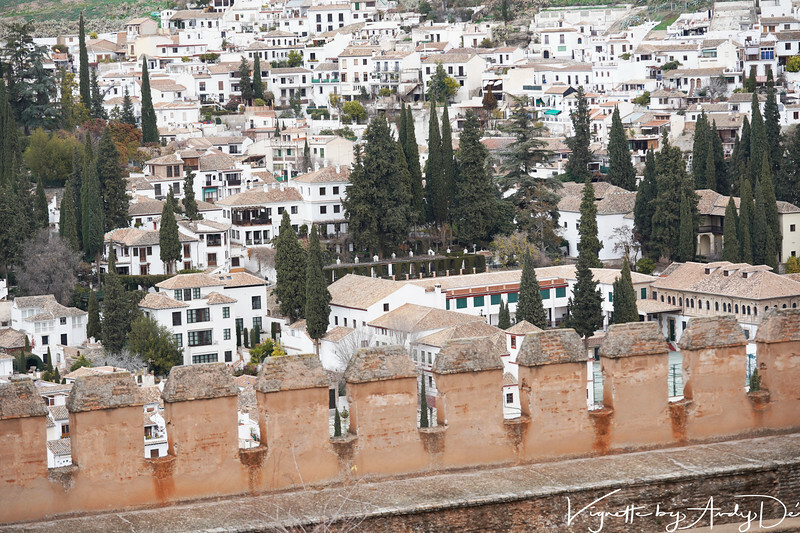 Imposing and well sculpted ramparts to the Palace that arouses curiosity and interest in the visitor coming to the Alhambra! 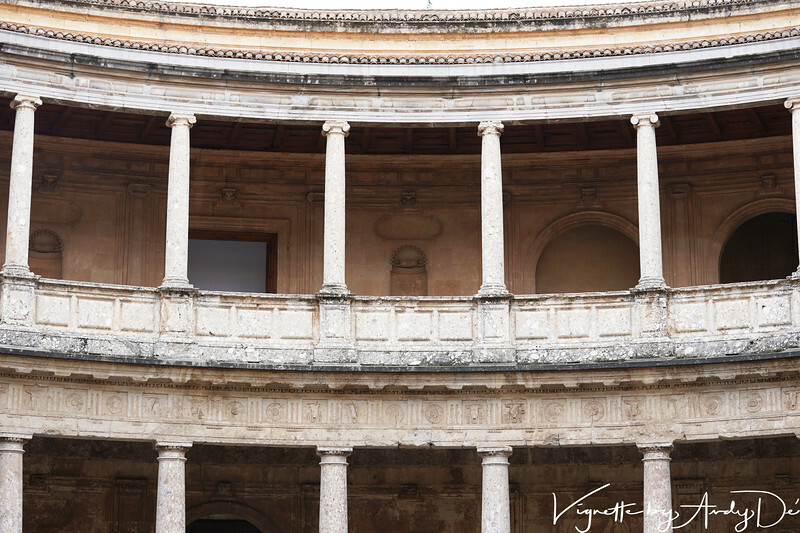 The gallery of the Charles V Palace that seats visitors who attend the prestigious musical concerts that are hosted in this historical location! Entrance to the Charles V Palace that was built on the foundation of one of the Nasrid Palaces that was torn down after the Christians re-conquered Spain! 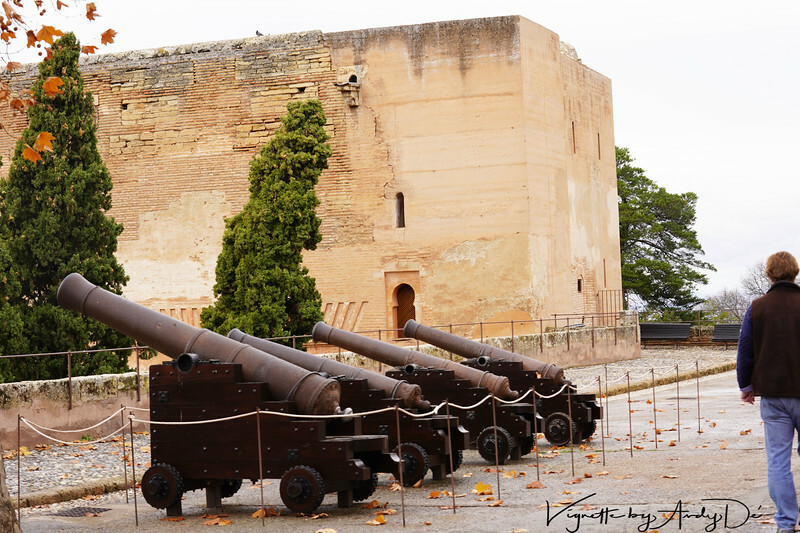 The Moorish Cannons built to protect the citadel that was the seat of power of the Moors who ruled over Spain from Granada! 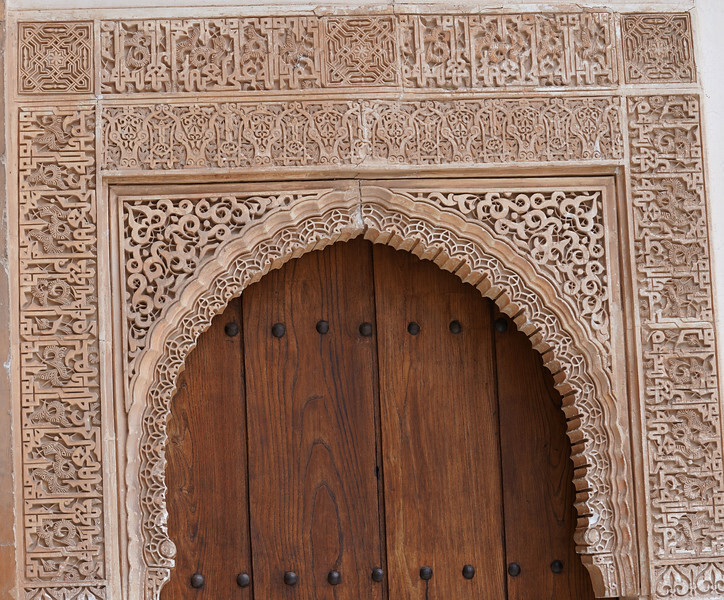 The Alhambra was both a Palace as well as a Citadel, reflected in its architecture and fortifications! 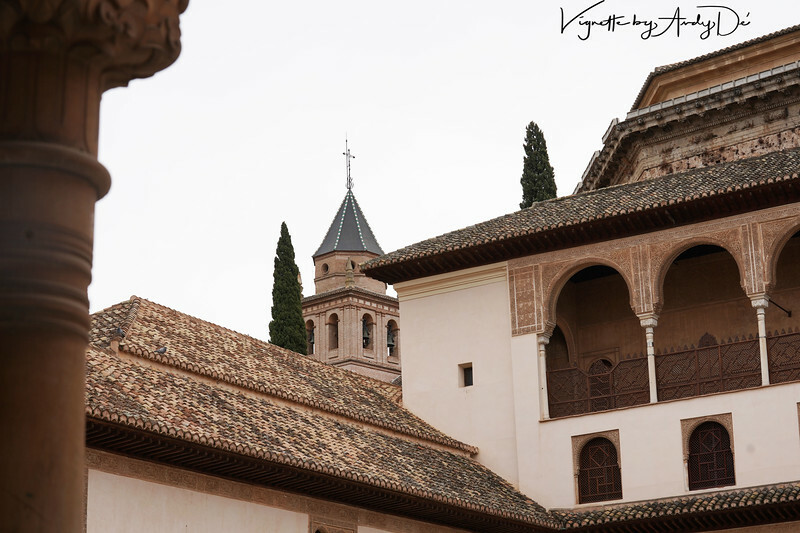 Contrasting styles of architecture - the Moorish style from the Alhambra in sharp contrast to the Western Tudor style from the Tower of the Charles V Palace astride the Alhambra. The well appointed entrance to the PALACIO REAL which hosed the court and the throne room - need to experience this in person for the ornate and finely honed sculpture! The majestic and ornate entrance to the PALACIO REAL, which houses the throne room where the Sultan held court. 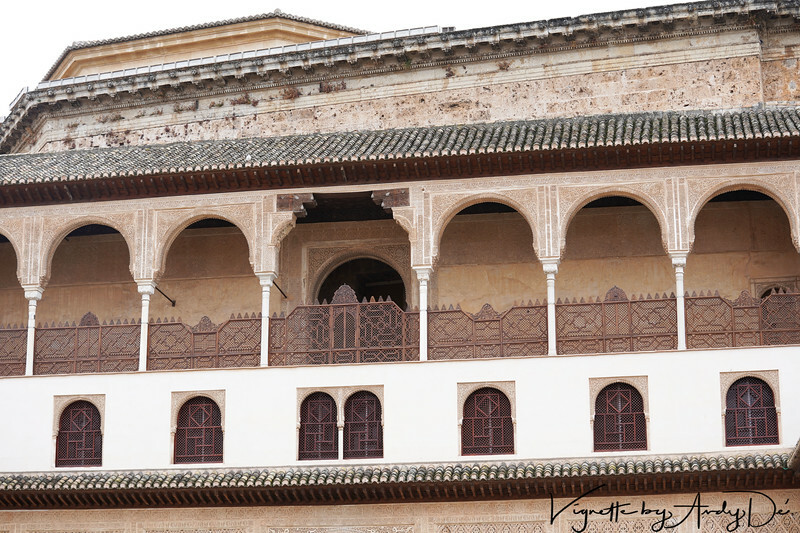 Royal Balcony overlooking the courtyard at the Palacio Real, housing the Court and Throne Room, at the Alhambra! 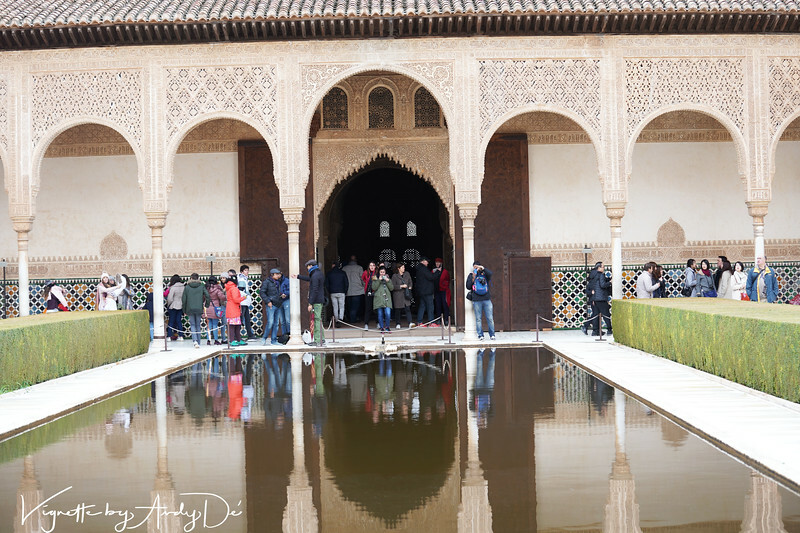 The PALACIO REAL in the Alhambra which is where Yusuf I, the last of the Nasrid rulers held court and dispensed justice! 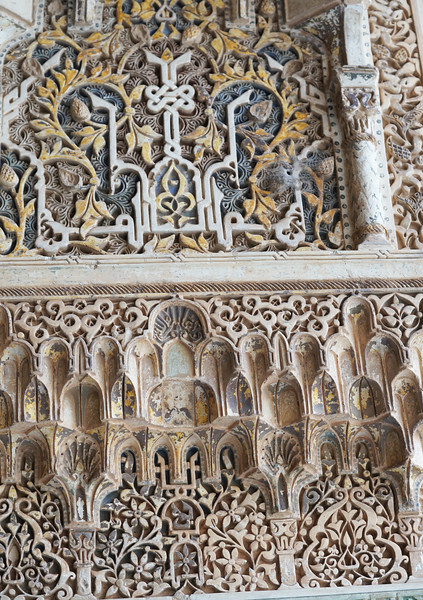 Ornate and delicate Moorish sculpture that distinguishes the Alhambra, will remind one of similar sculptures from the Taj, Fatehpur Sikri, and Sikandra in Agra, India! The exquisite and well appointed approach to the PALACE of the LIONS - gifted to the Sultan by his Jewish courtiers. The 12 lions symbolize the 12 Tribes of Israel. Islamic cenotaphs in praise of Allah on the walls of the Palaces, that will remind one of the Taj Mahal and the Fatehpur Sikri in India. 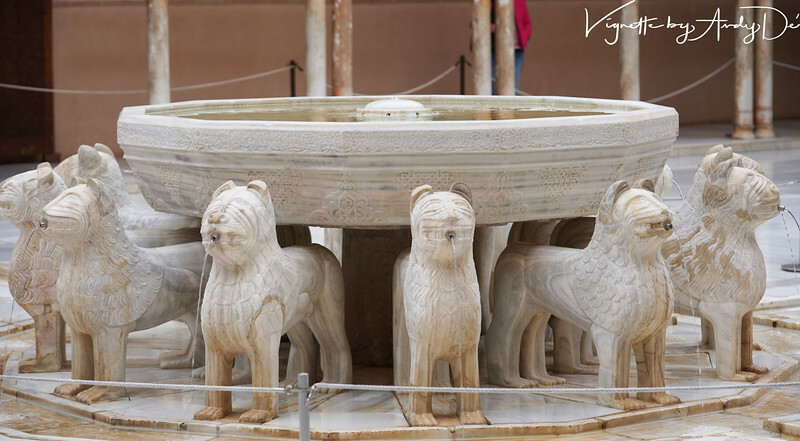 The exquisite marble fountain supported by the 12 Lions symbolizing the 12 Tribes of Israel, gifted by the Sultan's Jewish courtiers and subject - an ornate and spectacular centerpiece for the Palace of the Lions! 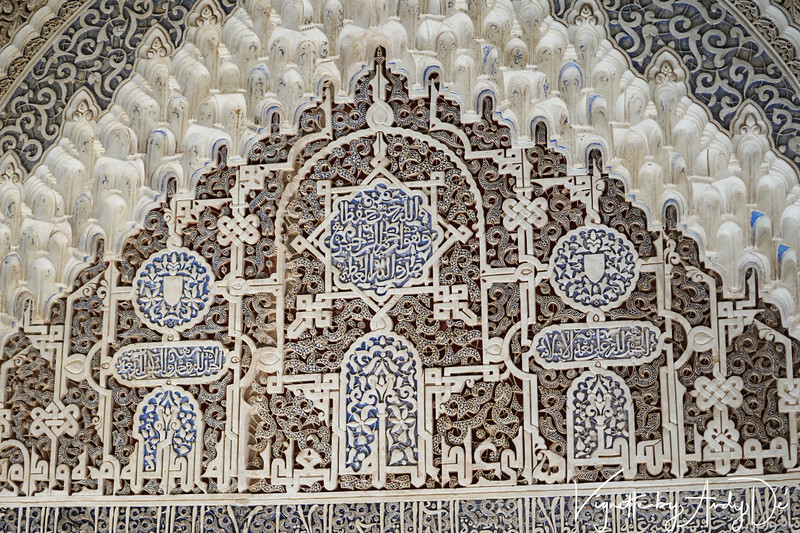 Islamic, Koranic cenotaphs in praise of Allah on the walls of the Palaces, that will remind one of the Taj Mahal and the Fatehpur Sikri in India. 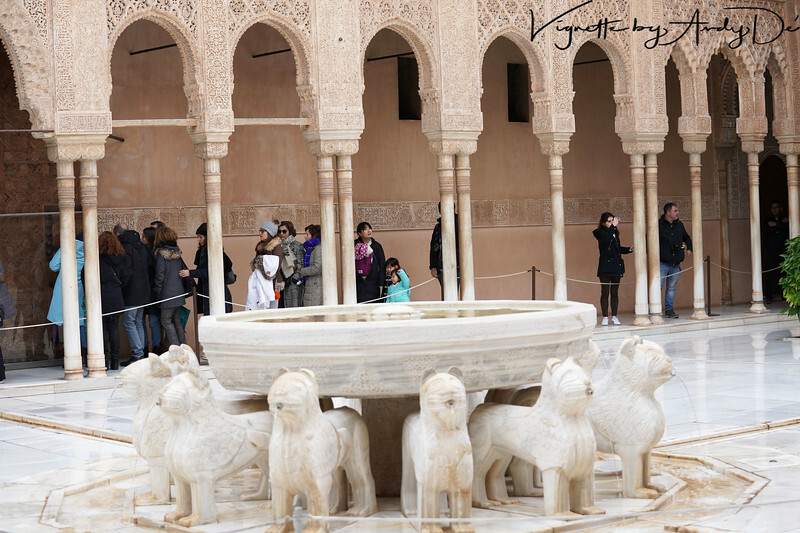 Up close and personal with the 12 Lions symbolizing the 12 Tribes of Israel, gifted by the Sultan's Jewish courtiers and subject - an ornate and spectacular centerpiece for the Palace of the Lions! 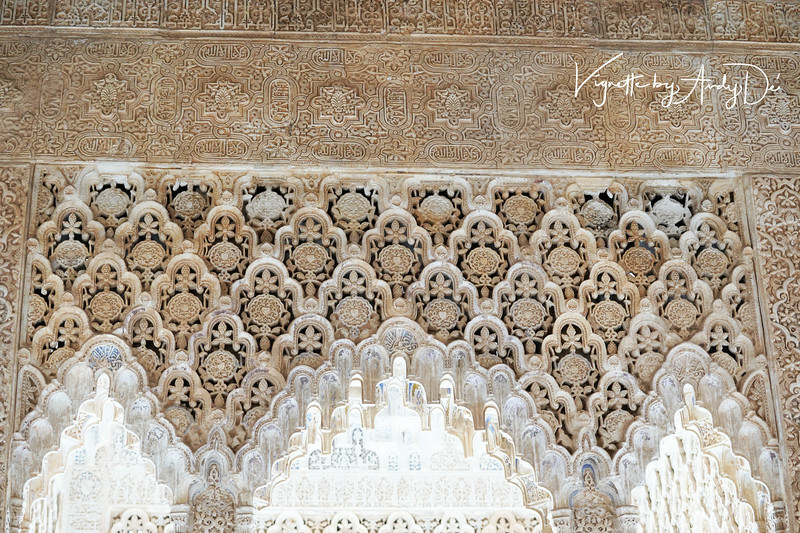 Exquisite, painstaking sculpture reminiscent of that at the Taj Mahal, inside the Sultan's private quarters, at the Alhambra! 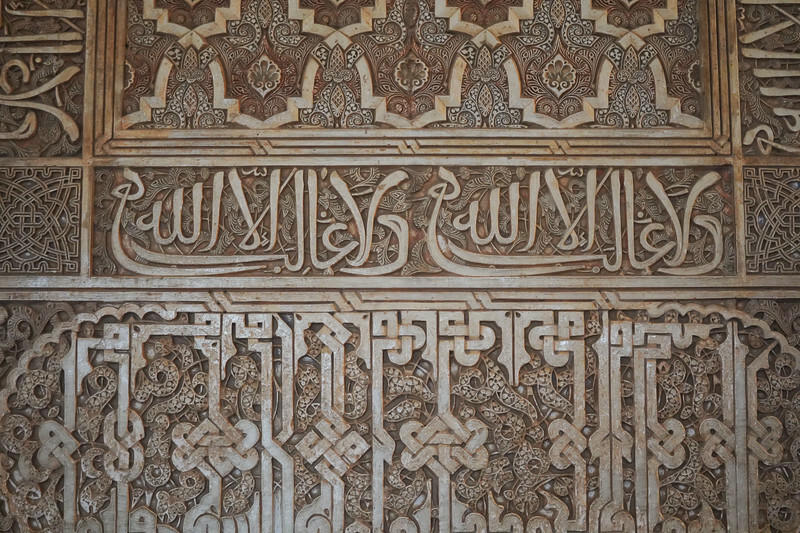 Islamic (Koranic) cenotaphs in praise of Allah on the walls of the Palaces, that will remind one of the Taj Mahal and the Fatehpur Sikri in India. 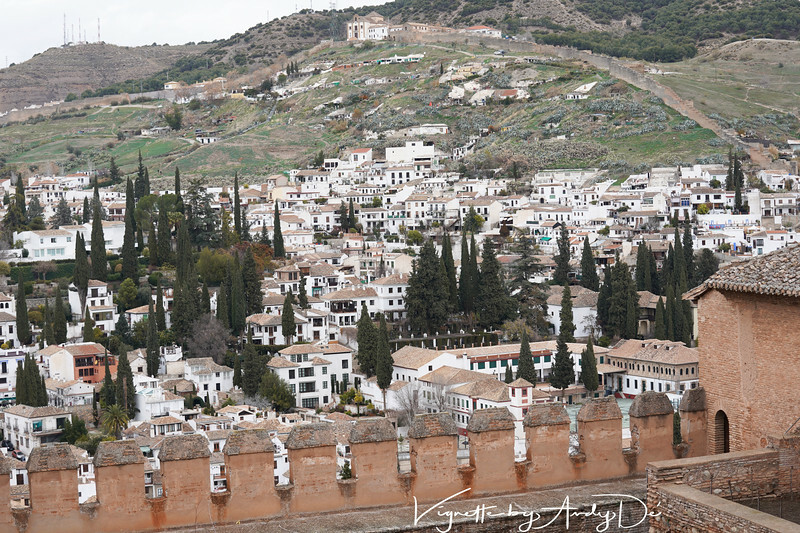 Breathtaking panoramic perspective of the Sierra Nevada mountains as seen from the ramparts of the Alhambra Palace! 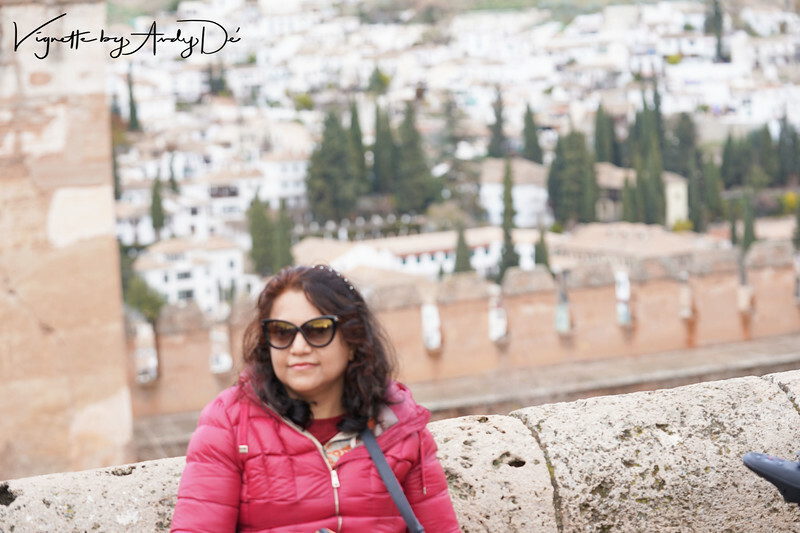 Breathtaking panoramic perspective of the Sierra Nevada mountains as seen from the ramparts of the Alhambra Palace, as backdrop for this portrait! 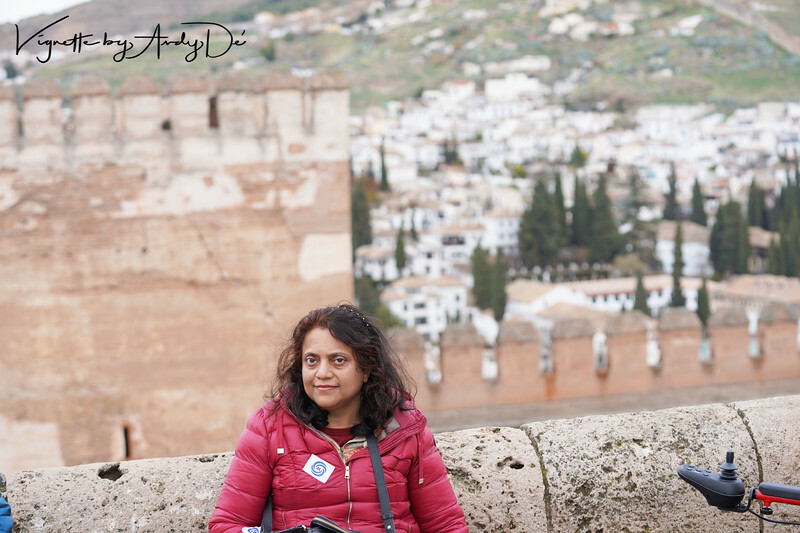 UMA, 'The Apple of my Eye' in a state of spellbound euphoria, following the peregrination of the Alhambra Palace!